This is a page for those who are interested in the spirituality of manifestation. It’s not necessary for everybody to read it, and it’s certainly not necessary for everybody to understand it. If it doesn’t appeal to you, then simply skip it. You can still manifest reality just as successfully if you don’t read it! 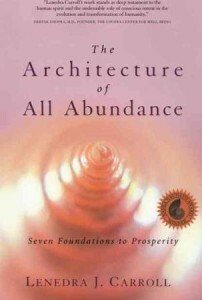 The Architecture of Abundance is the title of a book by Lenedra J Carroll. 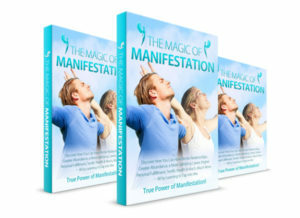 Don’t you think that’s a fantastic title for a book about the feelings, emotions, beliefs and attitudes that you and I, and everyone, need to have to make manifestation successful? I don’t think I’ve ever come across a book which so elegantly expresses the state of mind and the attitudes, beliefs and philosophies that can lead to success in manifesting reality as this one. It’s a brilliant book, and I highly recommend it. But what does it have to teach us about making manifest success? You wouldn’t think, at first sight, that this was a book about manifestation and Law of Attraction. Certainly it’s not sold that way. But it’s a book about the human condition, and in particular it’s about how to dive into the depths of your soul. Since using the Law of Attraction to manifest anything is deeply soulful work, this is an ideal book to accompany everyone trying to create their own reality. And presumably, because you’re reading this, that includes you. Make no mistake – manifestation using law of attraction principles is a spiritual process. In this quotation we learn that there are many ways to connect with the divine, the universal intelligence, the cosmic consciousness, or, if you prefer, God. And it is that connection which will enable you to manifest manifest whatever it is that you desire. Every time you enter into connection with the divine, the universal intelligence, the cosmic consciousness, or, if you prefer, God, you will make yet another discovery about who you are and what you are intended to do in your existence on this planet. 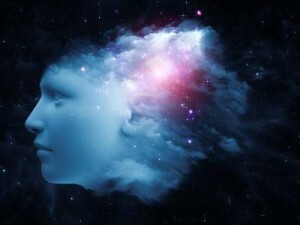 In this silence, this mysterious connection with the force beyond you and greater than you can ever imagine, you will discover that in fact you are a part of this force, this energy, this creative principle. The grace to know that you are a part of the universal consciousness, a part of all creation, and as much an agent of creation as a product of it. Which means, in short, you can manifest whatever you want when you live within your true nature. Many people are put off the concept of manifestation because of the spiritual overtones. They want it all to be simple, and straightforward, and very worldly. Desire + Belief + Expectancy + Action = Manifestation. 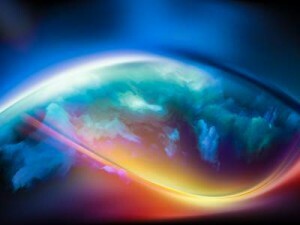 The reality, of course, is that as an agent of creation, as a part of the universal energy and the universal force, the more you can create connection with the mystery that lies beyond each and everyone of us, the more effective your attempts to create your own reality – to manifest reality – will be. So let us start from the proposition that within each and everyone of us lies a life purpose, a mission if you like, which is why we are here. Few of us are given the grace to understand from the day we are born what this life purpose might be. And the majority of the human race never discover it. But, for those who do, manifestation of reality takes a different turn. “There is an ocean of being. We are bathed in it. There is nothing that is not in it. It is all things and connects us to all things. It is the pure source of all that is.… We live in the world of action that exists within the vast ocean of being, that envelops all things, permeates all things. This being this creates and quickens all things. To know its debts is to know our source, the God of all things. It is a limitless ocean, at the depth of which is a still, silent, and unchanging place. Above is the active, ever-changing surface world of action.” From The Architecture of Abundance, Chapter 5. Live with your head in the clouds and your feet on the ground…. You are an essential part of the universe, and it is that essence which allows you to manifest your reality. Yet we all know how the distractions of everyday life can take us so rapidly and easily away from our true selves, from our true nature. How are we to maintain balance and harmony within ourselves in the face of pressures that society puts on us? One good way is to take retreat time in nature. By taking time out from the everyday world, by seeking solitude in retreat, and by reconnecting with the nature of planet Earth, you can reconnect with yourself, and with the universe beyond yourself. When you think about it, all healing work that is required in the world today is about reconnection. It’s about reconnecting with self, it’s about reconnecting with the world around us, and in particular, it’s about reconnecting with each other. Each of those connections is spiritual in nature. And by recognizing and allowing the spirituality that is naturally within us, we automatically reconnect with the universal energy that allows us to manifest reality in our everyday lives. Furthermore, if your limiting beliefs are impeding your success at manifestation, then seeking solitude in nature creates a space in which you can more easily relinquish the old ways of your being and existence, and replace them with new perceptions of reality. This is the place where you can talk freely to your soul, and the soul of the great mystery around you. So in essence, the message is this: that when you spend time in nature, or when you spend time meditating, or in prayer, or enjoying some other practice that could broadly be described as spiritual – the creative arts, music, yoga, even the trans of exercise – you move beyond yourself. You move beyond yourself into a place where you can access stillness, and in accessing stillness, you can touch your connection to the universal consciousness, the great mystery, or, if you prefer to put it that way, God. And then, when you do that, you can touch the power you have as being within an abundant universe – and in touching that power, you can manifest whatever it is that you wish to appear in your life. Or to put it another way, to put it more simply, to succeed in life, to succeed in manifesting your reality, you need to have some kind of spiritual practice.